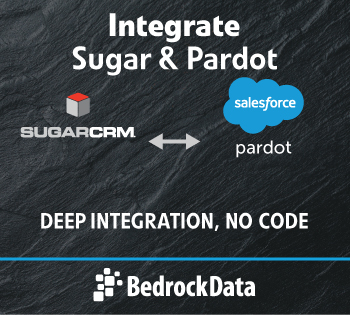 Bedrock Data Automatic Pardot Integration SugarCRM, Inc.
Empower sales & marketing by connecting Pardot to Sugar. Bedrock Data's integrations are multi-directional, continuously updating, clean (goodbye duplicates! ), and automatic- no code required. Accurate, complete, and consistent data helps your sales and marketing teams perform more effectively. Pardot gathers key intelligence on your prospects: where they came from (lead source), how they engaged with you (campaign, activity) &amp; a measure of their engagement (lead score, lead grade). Automate creation of Pardot dynamic lists with Sugar account and contact data. 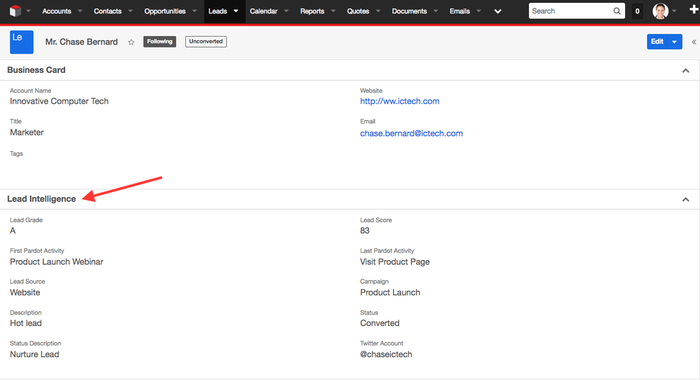 Open new capabilities such as automated lead nurturing and customer marketing campaigns. 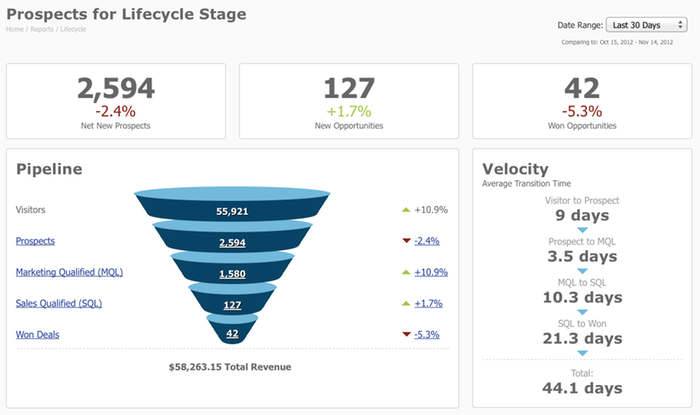 Bedrock Data connects opportunities converted in Sugar back to Pardot, enabling Pardot's Lifecycle Stage Reporting. This provides visibility into your marketing funnel all the way through to revenue. Manage your Pardot + Sugar integration through a wizard-based interface- not a single line of code. The Bedrock Data support team lives, breathes and eats data connectors. They play an important role in ensuring customers are successful with their Pardot + Sugar integrations every single day. Based at our headquarters in Boston, MA.